The Rev. 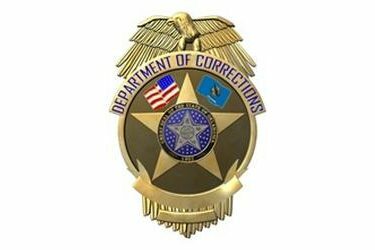 Sheila Alford is the new chaplain for Community Corrections for the Oklahoma Department of Corrections in Oklahoma. Part of her job involves working with Bridgeway, Inc., in Ponca City and the men that are in DOC custody who are living at Bridgeway. She is new to the position and is hoping to bring more consistency to training and expectations. Alford plans to offer a refresher course for area churches on best practices for working with community sentencing. Alford has identified a need for literacy classes and/or financial literacy classes. Representatives from any area churches or other groups that might be interested are invited to attend a meeting on Saturday, Jan. 26. The meeting will begin at 10 a.m. and end by noon at Albright United Methodist Church, 128 South Palm. Those attending should enter through the door on the west side of the building. In addition to the Jan. 26 meeting, there will be an official training to become a DOC volunteer that will be held Saturday, Feb. 2, at 8:30 a.m., also at Albright United Methodist Church. Interested persons who want to take this February training should go to the DOC website home page (http://doc.ok.gov) click on volunteer opportunities and apply immediately. Once the online application process is completed, call Alford at (405) 778-7141 to be placed in the Feb. 2 training. Only those who have officially registered on the web site will be scheduled for the Feb. 2 training.